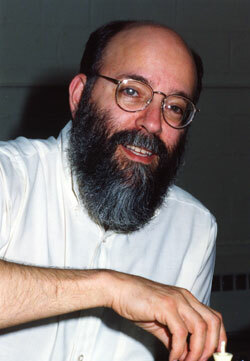 The following images will eventually be used to support various articles or features. 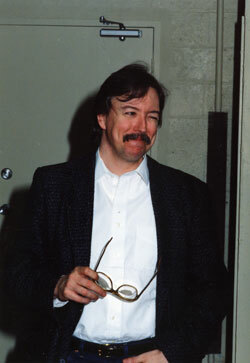 But I wanted to make them available for general consumption as "photos from the archives." If anyone can help in dating the these pictures or naming all of the people they depict, your help would be appreciated. The "founding fathers." 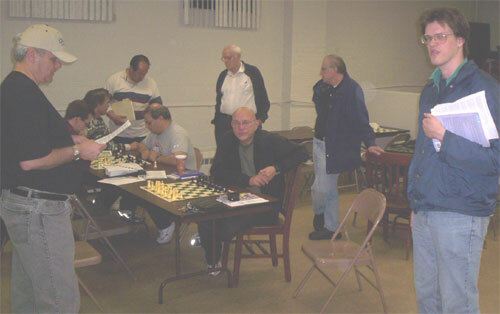 (Left to Right, Rear) Unknown, Ed Hoag, George Zayat, Unknown, Unknown, Richard Lawrence, (Left to Right, Bottom) Mike Wojcio, Vinnie Smith, Andy Wolman, and Sy Fish. 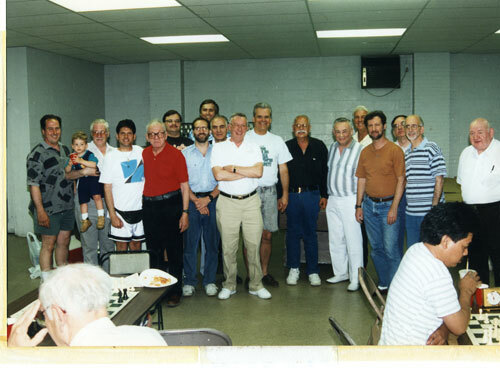 The club in 1997 for the 25th reunion photo. 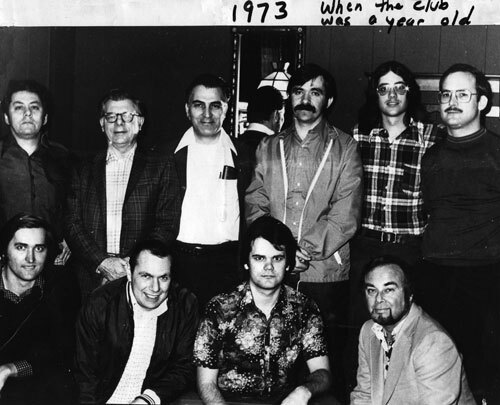 (Left to Right) Scott Massey, James Falcetano, Ray Massey, Richard Falcetano, Manfred Kramer, Greg Tomkovich, Dennis Perry, Mike Wojcio (rear), George Zayat, Joe Walyus, Andy Wolman, Frank Lamantino, Sy Fish, Barry Jaffe, Mark Shoengold, Bill Cohen, Pat Mazzillo, and Irving Ellner. 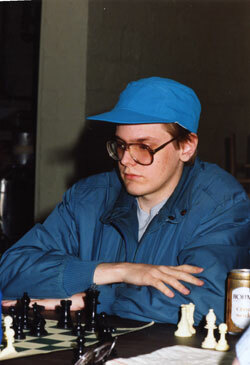 Scott playing blindfold in 1990s. 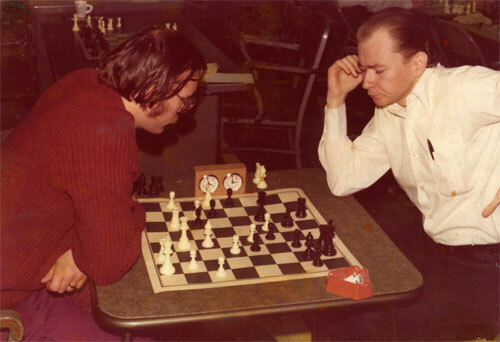 He lost one game -- to Eddie Rodda (to the right, background). 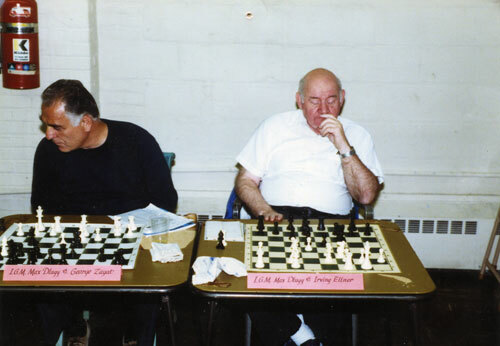 Bill Bluestone and Bill Simonitis. 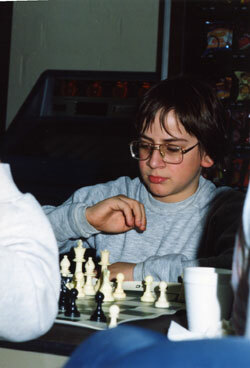 Jack Corcoran and young Jason Cohen. 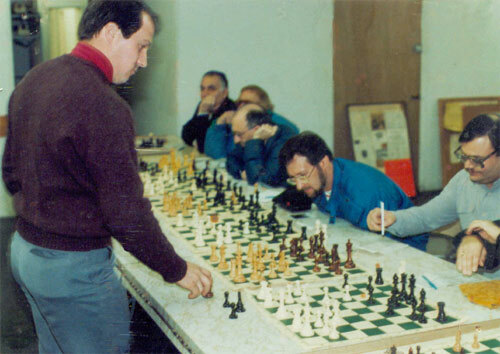 The Cohens, Bill and Jason, at a simul. And is that Pete Cavaliere foreground? 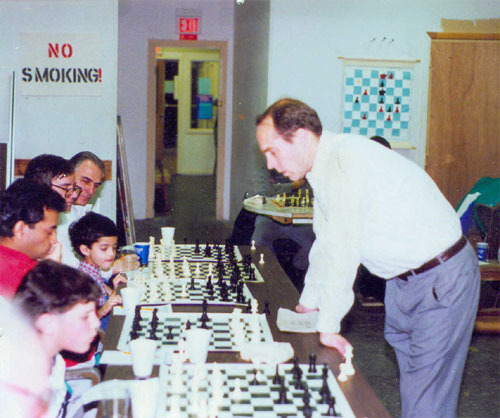 And Pedro Figueroa in the background in blue. 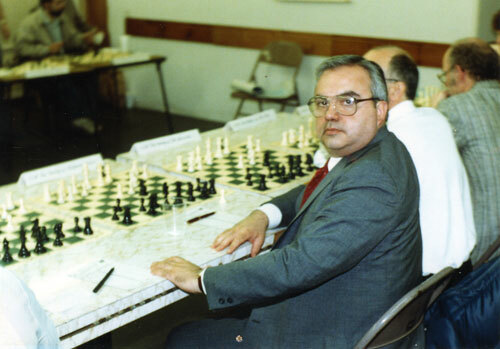 Dr. Rich Lewis is a frequent participant in master simuls and has an excellent record against some of the best players who have visited our club. 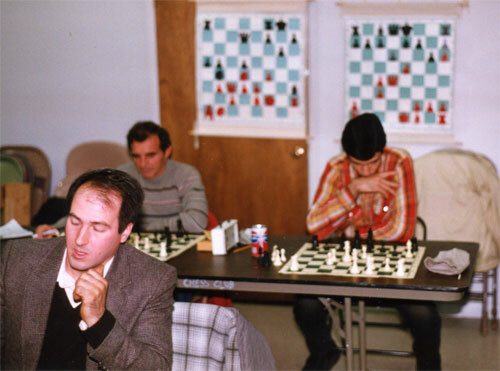 Steve Stoyko and (I think) Bill Freeman at the club in the days when smoking was allowed (to judge by the ashtray right foreground). Must have been the late 70s. 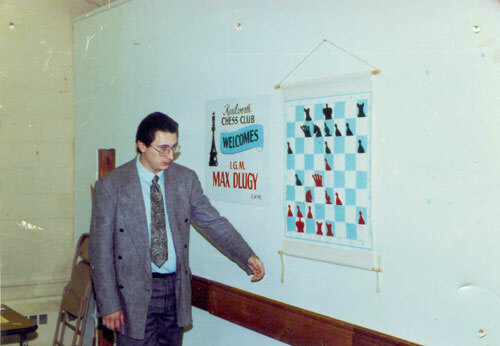 NM Todd Lunna lecture and simul - late 80s? 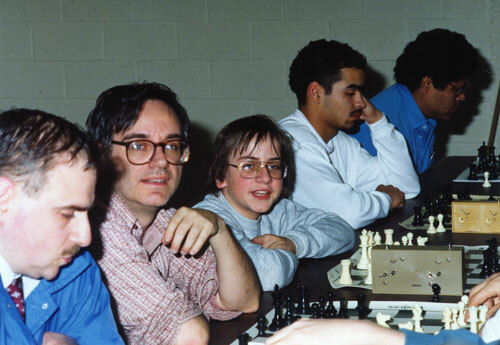 NM Scott Massey simul -- 1991? 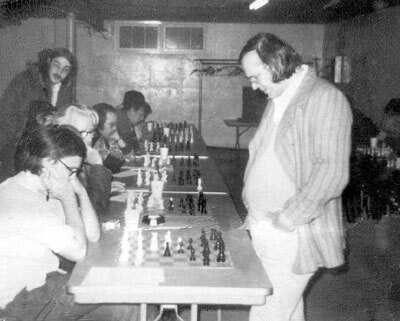 Steve Stoyko simul - 1970s?